JARO can custom make furniture to suit your venue including ottomans, banquette seating, stools, tables, chairs, bar stools, sofas etc in a large range of styles and colours. Our frames are strong and sturdy and we only use the best quality padding and covers suitable for commercial venues. Talk to us about your ideas and together we can custom make your perfect furniture requirements. 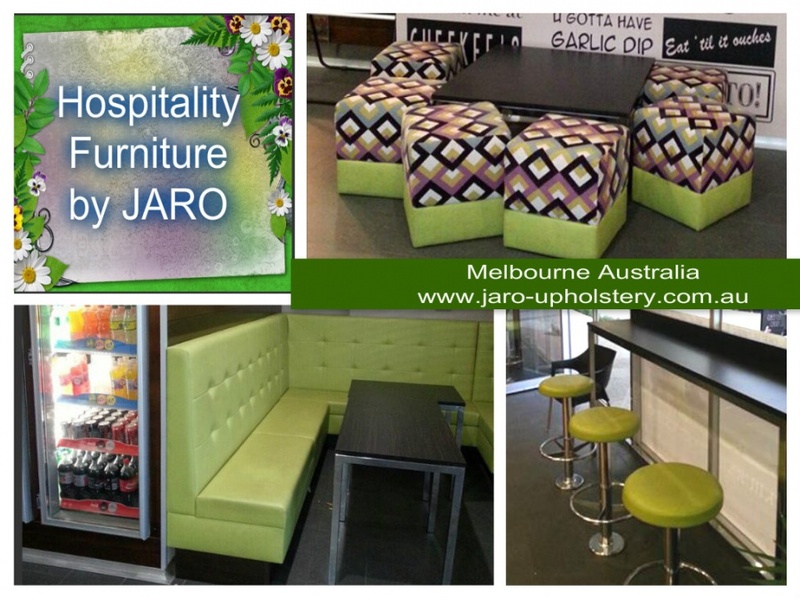 Call Jason on 0402 188238 to make a time to meet or email enquiries@jaro-upholstery.com.au.